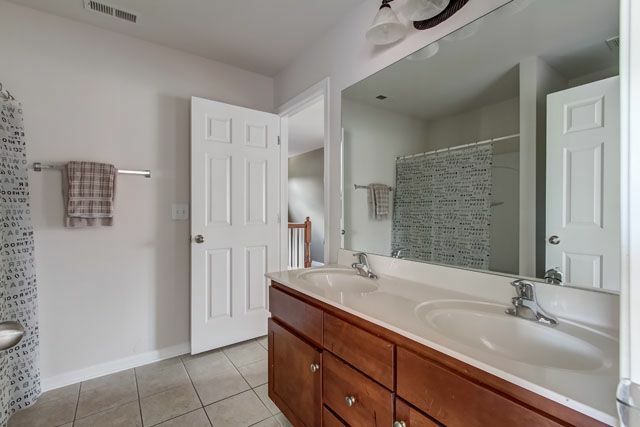 If you have been looking and not finding that home that fits your needs in the school zone that you are looking for, STOP LOOKING and make your way to 2137 Grand Street Nolensville TN 37135 in Silver Stream Farms. This all brick and stone home is truly MOVE-IN Ready. Lets start with the new items preparing this home for it’s new owner. 80% repainted to create neutral decor and smooth finishes. Frieze carpeting is new as are many of the blinds. The dishwasher was upgraded. The front yard was just sodded, and the flower beds were replanted and mulched for a superb curb appeal. The garage has had approximately 1000 square feet of overhead shelving installed. Now lets talk about conveniences. This home is being offered with a one year home warranty, so buy with confidence. The location in the neighborhood is across from an open space and is perfect for the pool but far enough away to avoid noise issues. You are going to really like the floorplan, allow me to describe it to you. The arched stone entrance greets you and welcomes you into the large foyer. 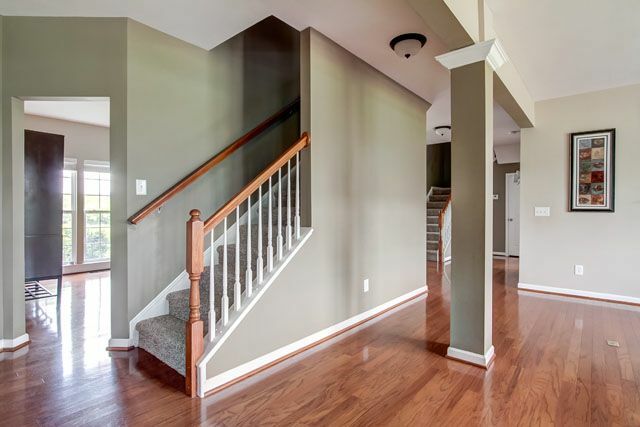 The main level is all wood flooring and your guests will be welcomed into the formal living room to the left or if dining over the large dining room is to the right. For less formal events the great room and is open to the breakfast nook, kitchen and the morning room which is full of windows and spills out to the over-sized decking. The kitchen features a center island, a cook-top stove and double oven, refrigerator as well as built-in microwave all in stainless steel to accent the granite counter-tops. Friends will want to gather at this comfortable home and watch the games on the large flat screen TV over the fireplace that remains with the house. Even with a large crowd the game will be audible to all with the pre-wired speakers in the great room. Want to work from home? There is a real office space on the main floor with a bay window on this main level to work or just set up a great homework station. 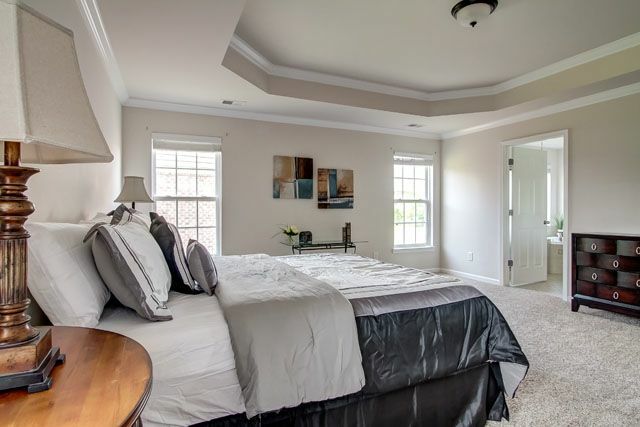 Upstairs you have the master suite, 3 bedrooms, a bathroom and a jumbo bonus room. The staircase continues up to the 3rd floor which is can be a 5th bedroom, in-law or teen suite, or man-cave as it has a full bath and operates on its own central heat and air. Benefits of this resale home in Silver Stream Farm are numerous but value is the biggest. This home has floor to ceiling windows and cased windows that are being phased out by the builder so your home will be unique. The blinds are already installed and ready for you to move-in and enjoy. An over sized rear deck is already in place and ready for you to enjoy this summer grilling out without the worry of new construction of this feature. The landscaping is established and mature with fresh sod. The builder’s optional Morning room was ordered on this home and will be ready for you to enjoy with the bright sun coming in to greet you each day. The subdivision is thriving and easy commuter lanes to Franklin, Smyrna, Murfreesboro, and Nashville as well as School zoning being Ravenswood High School, Sunset Middle and Nolensville Elementary in Williamson County the future continues to look promising. Local retail and dining as well as recreation are aplenty with Nolensville expanding and Smyrna just a few miles away to get access to chain stores like Target, Red Robin, Logan’s Steakhouse, IHOP, and Cracker Barrel just to name a few. Contact a member of the Grumbles Team now at 615-587-5843 or text MIKE to 615-745-3402.
Who do you get to take your photos? Wow! I am very impressed with the quality. I feel like it might be a little more efficient to plug them into a slideshow, though, rather than posting them individually? It’s a LOT of scrolling!